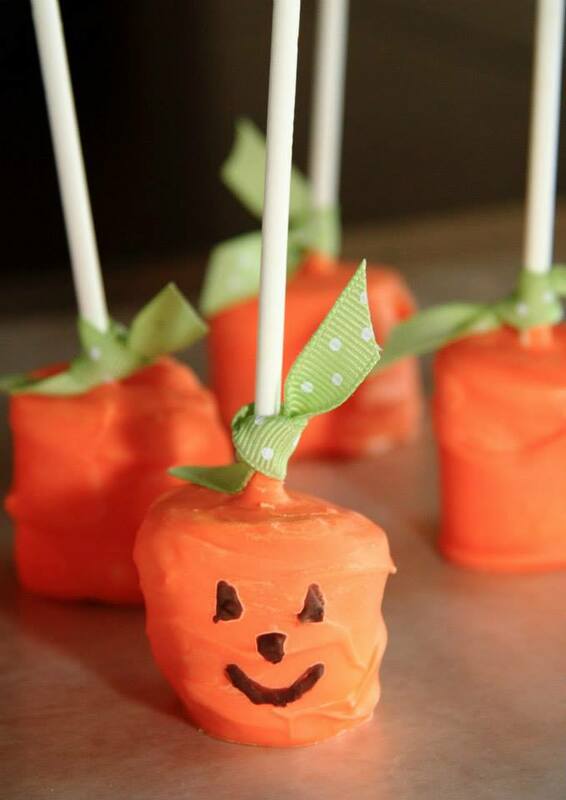 To make the evil witch’s legs, roll orange fondant into two 3-inch-long ropes. Mold small pieces of black fondant into shoes and press onto the legs. Place the legs on a plate and use black decorating gel to draw striped tights. Put a green-frosted cupcake upside down on top of the legs. 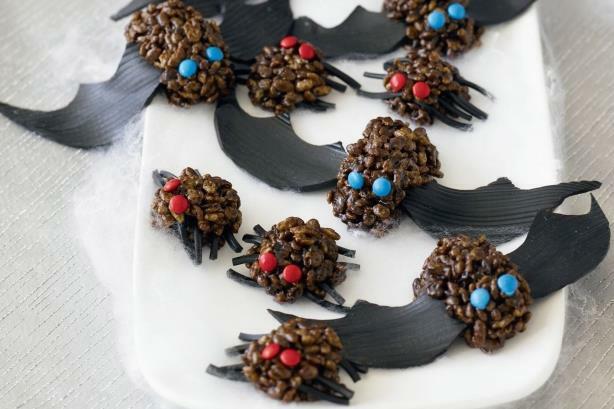 So cute for Halloween. 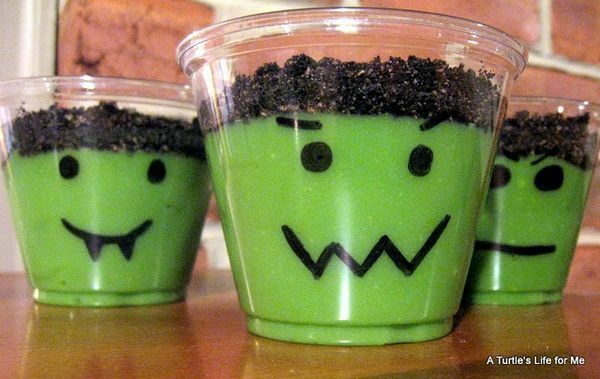 Draw face on clear cup add green food coloring to vanilla pudding and crush oreos on top! Making “sandwitches” is easy — just use dark-and-dreary (chocolate) cookies and gruesome green (mint) ice cream. Then eat quickly. 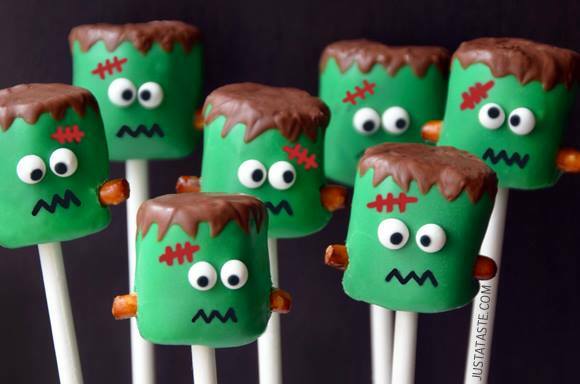 Wicked witches have a habit of melting — these ones, especially. wonderful! Sharing to fb…:) and Happy Halloween (ish) !